Business justification for migration from classic to smart client technology is a difficult subject. In some respects migration can be seen as having purely IT benefits, such as reduced deployment costs, reduced maintenance costs etc. The main business drivers for migration are often based on leveraging new functionality that is available in the smart client, not available the classic client. This means that a purely technical migration will likely result in limited or no identifiable business benefits, making the business case very difficult to prove. In many cases both technical and business drivers arise during the migration assessment. It is important to understand that although both technical and business drivers for migration are viewed separately, there is an overlap between the two areas, as improved functionality is enabled through the use of the new architecture. Q: Clear Basic provide ‘got_focus’ event for controls but I can’t find the same event in smart client. Is there any way to implement this feature in smart client? 3. In which: actEntryBo is child of both caseBo and emailLogBo, emailLogBo also is child of caseBo. => how can I insert emailLogBo and actEntryBo to database ? Note that: Both emailLogBo and caseBo are parent of actEntryBo, so we can’t use actEntryBo.setParentBo(..) to set up relation. So, please suggest how to solve this problem. A. Note that CaseBo object contains all the logic to do it automatically for you. All you need to do is to add your new emailLog record to the CONTAINED emailLogBo. 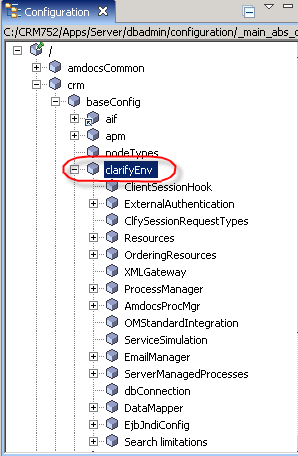 When doing so, an actEntry will automatically be added and related with all relevant BO parties (CaseBo, UserBo, EmailLogBo). These contained CBOs are automatically related to the Case BO, usually as child BOs of the parent BO. They are accessed through CaseBO properties. Most contained CBOs are Generic BOs. To reduce network traffic and improve response times, many contained BOs set bo.DataFields and bo.QueryMode to minimize the amount of data retrieved. 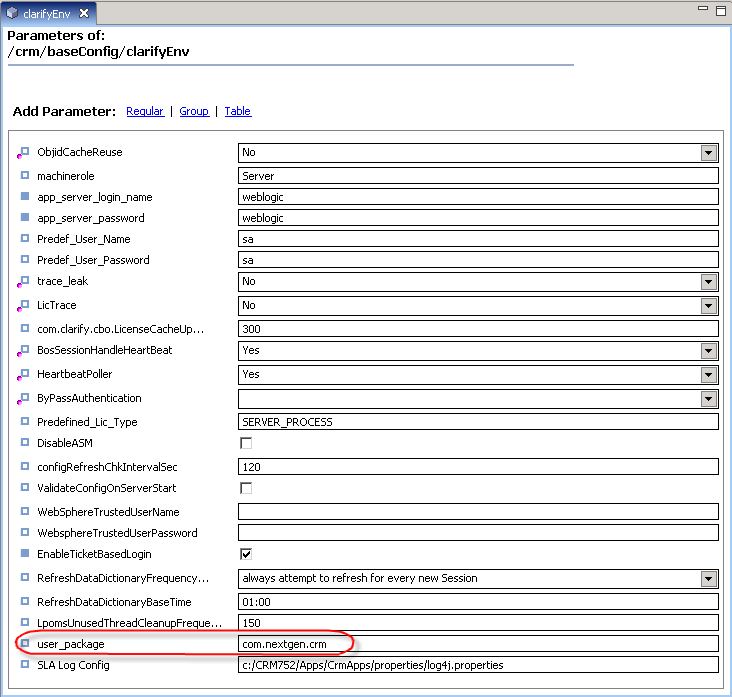 Make sure to modify the DataFields property of the contained Bo to include necessary fields before performing the query. // Add a new row to the contained EmailLog BO. // Set the note description for the new row. Smart Client messaging is far more flexible than its Classic predecessor. Smart Client forms can communicate with other forms by messaging. 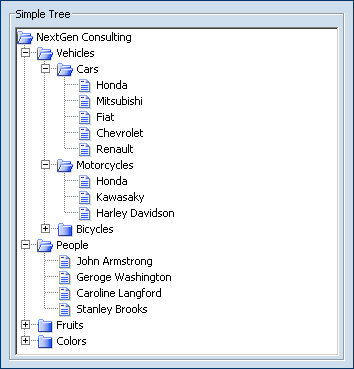 Smart Client Tree control displays hierarchical information in an outline structure. It extends SWING’s JTree base functionality and provides visual presentation to hierarchical data. In a dynamic tree control? Learn how to implement Tree control in Smart Client Java Swing technology. Read Implementing Smart Client Tree Control for full story and step by step examples. Q. There is a form, the back end for that form was implemented by Worker Bean. I’m upgrading that form to a new version by creating derived form and add on some needed features. What about the backend, Is there any way to upgrade the old Woker Bean? Note that the new backend should be implemented by XBean. A. Using derived form does not require any change in the backend if you do not need any changes or additions to the backend logic. Move the logic completely to a new XBean. Create your own version to the WorkerBean only if your new logic require passing new parameters. If there is no change is the parameters, do not override the workerbean, leave the original one. Override the related Savebean (or Loadbean) with a new Save/Load bean. Mapping the original bean name with the new bean name. If you have several new entries, seperate them by a coma (,). Moving the logic to a new XBean first requires copying the old logic from the Workerbean and its related SaveBean (or LoadBean) to a new XBean. The Workerbean is used only for passing the data from your front end client to your SaveBean. This data is passed via CDOs, where the XBean gets its data directly using XDOs (practically XVos). You shall need to convert your passed data fron CDO to XVo. You shall need to copy the SaveBean (or loadBean) logic to the new XBean. This should be fairly easy if you managed to properly convert your data as mentioned in (1). You might consider *not* to map the original OOB WorkerBean to your new XBean, but call it explicitely from your front-end. This is to maintain backward compatibility with other front-end code that might use it from other forms. 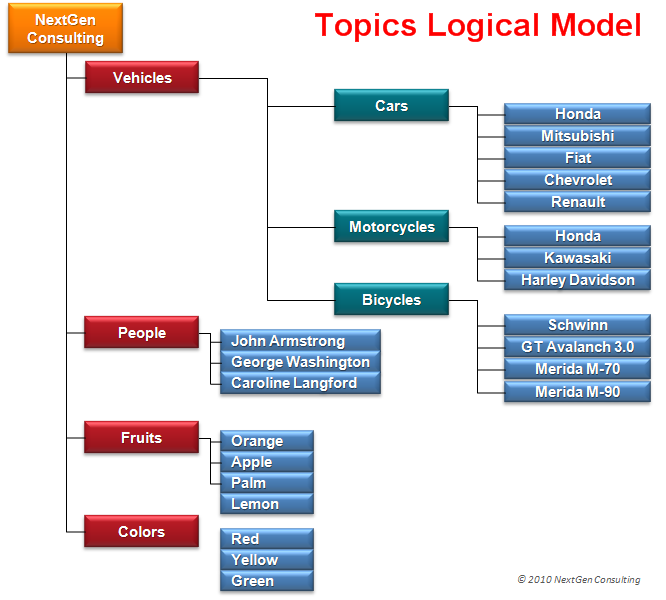 Obviously, moving logic to a new XBean is more complex, and needs to be updated with every upgrade to a future release. However, it provides much more efficient code which is easier to maintain. On the other hand, merely creaying your new versions for the OOB WorkerBean and SaveBean (or LoadBean) is much easier task and backward compatible. The “look and feel” (LAF) describes the appearance of UI components. It handles presentation for Smart Client UIF custom controls & states. It works in conjunction with currently active Swing’s look and feel and Swing’s controls (Only Windows XP LAF supported). 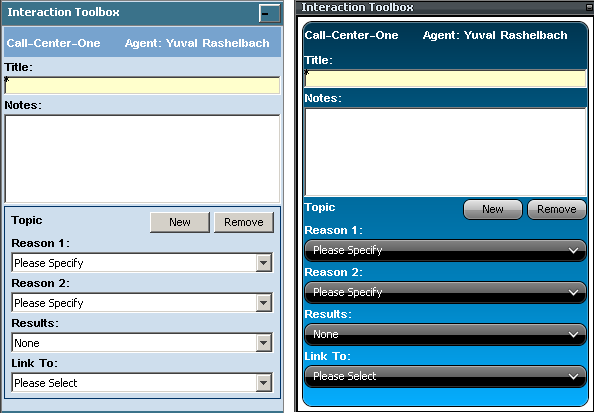 For full discussion see Smart Client Look and Feel . The Lookup control assists users search for data with which they need to associate. For example, when creating a new contact, we need to need to associate it with a site to which this contact belongs. The lookup button launches a search form which allows the user to select the relevant record that update the necessary values in the launching form. The lookup button is often used in create and edit forms, where the main focus object (in our above example – a new contact) needs to be related to another object (site in above example. 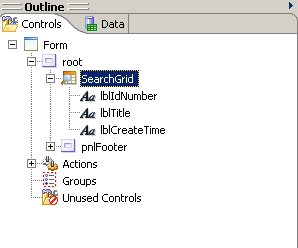 The Lookup control allows users to search and associate objects in the application. The control provides standard drop-down button functionality plus additional specific ones. For the full discussion, see Implementing Lookup Control.